Enslaved and Gothic 4 Demos up on Xbox Live. Check em' out! "Follow a gripping, surprise-filled journey as two dissimilar characters form an uneasy partnership in order to survive through a perilous, post-apocalyptic America where few humans are left and nature has reclaimed the world. Play as Monkey, a strong brutish loner who has been captured by a mysterious slave ship. Trip, a technologically savvy young woman and fellow prisoner, hacks a slave headband and commands Monkey to help her get home. If she dies, he dies, and her journey has now become his." 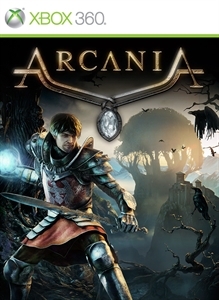 "ArcaniA - Gothic 4 continues the successful "Gothic" RPG-Series. Ten years have passed since the end of Gothic 3 and the world has changed - the Southern Islands have become embroiled in a grueling conflict, and set the stage for the player to brave countless adventures in the guise of a nameless hero. In a vibrant and elaborate environment, decisions will have to be made which will change not only the future of the Southern Islands, but of the entire world."